Davao City Mayor Rodrigo Duterte and Camarines Sur Rep. Leni Robredo have been officially proclaimed by Congress as the country’s president and vice president, respectively. However, Duterte was keen on making good of his earlier statement that he will not show up during the significant event. “I am not attending any proclamation. I have never attended any proclamation in my life,” the president-elect told the Inquirer earlier. But he did send in his legal counsel, Atty. Salvador Panelo, on his behalf, who was later seen chatting with Robredo during the event. Duterte and Robredo were proclaimed by Senate President Franklin Drilon and House Speaker Feliciano Belmonte at 4:10 p.m. in a joint session on Monday afternoon. The proclamation came after the National Board of Canvassers completed their canvassing of votes last week. As expected, Duterte came out on top with a landslide victory of 16,601,997 votes, which was over six million votes more than his closest rival, Liberal Party standard-bearer Mar Roxas II. In comparison, Robredo had a tough time shaking off Senator Bongbong Marcos in the extremely tight vice presidential race that ended up with Robredo winning over Marcos by a mere 263,473 votes. 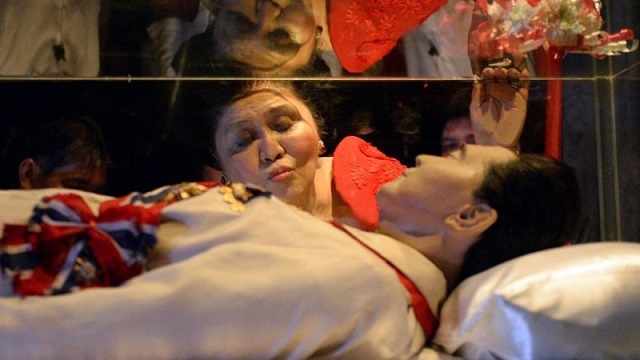 Marcos’ camp has stated that they were planning to file an electoral protest to contest the results. Despite this, Robredo was all smiles after her proclamation and greeted other politicians who congratulated her at the House of Representatives. 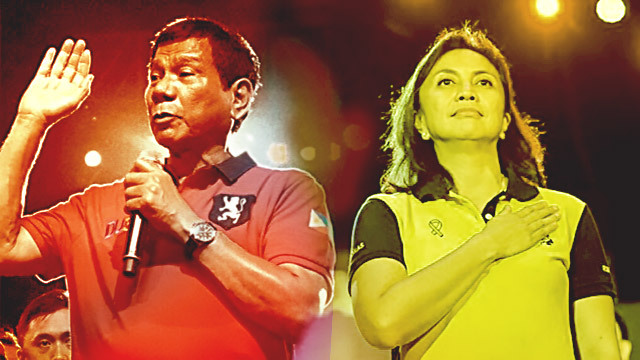 Duterte and Robredo will attend their inauguration on June 30 where they would assume their respective positions as the country’s two top officials.